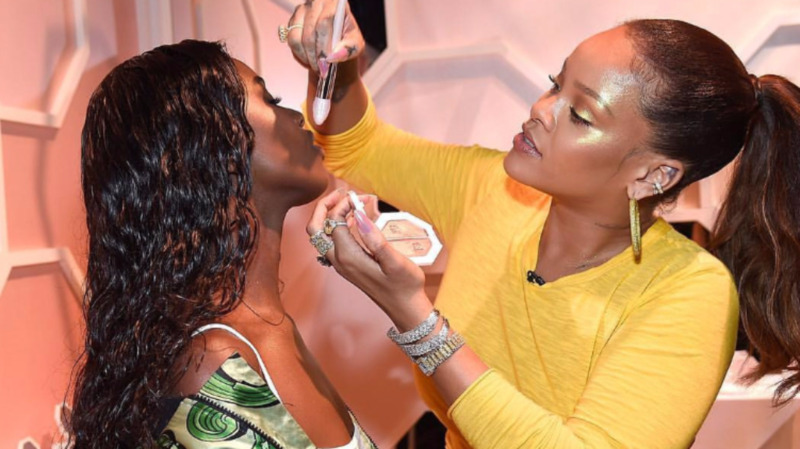 That Rihanna reign just won’t let up and with highlighters like ‘Trophy Wife’ flying off the shelves, it’s no surprise that Fenty Beauty is making millions for Ri Ri. Rihanna's Fenty Beauty line was an instant success, with products selling out in mere moments online and in stores. And a new report shows that the Barbados born singer/fashionista's line has raked it millions in free advertising since its September launch. The 29-year-old star's line of cosmetics earned her a whopping '$72 million in media value in one month,' according to Women's Wear Daily (WWD). The brand's 'Media value' includes the amount of money the brand's earned from free advertising from social media exposure and press, according to a description from Newsweek on Friday. Fenty Beauty debuted September 9 and became instantly beloved for its broad range of 40 foundation shades, collection of cosmic lipglosses, first class brushes and more. 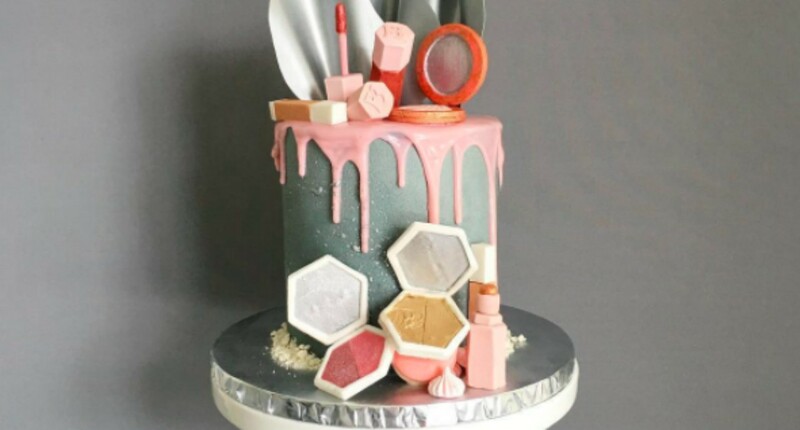 Earlier this month on October 13 the brand revealed even more beauty as they debuted their holiday galaxy collection with retailer Sephora. Around the time of the line's launch, the Wild Thoughts songstress caught up with Teen Vogue to talk about the collection. Though she was happy to talk about how she uses the current line, the pop star was tight-lipped about future Fenty developments. 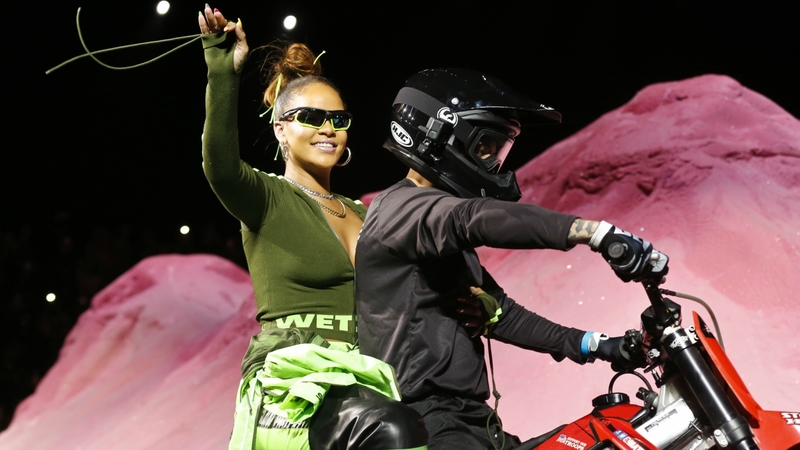 Before the launch of her hit beauty line, Rihanna debuted her second apparel collection with Adidas during New York's Fall Fashion Week, which was received with rave reviews from fans and fashionistas alike. The Throw It Up singer's love life is also hitting a high note. Bad Girl RiRi has been getting to know Saudi Toyota heir Hassan Jameel as of late. The pair has been linked since seen kissing in London back in June. This weekend the duo was seen enjoying a romantic dinner in Boston, where sources said the pair were 'super chill' and 'relatively quiet,' according to People.